Rusty Akers couldn’t have known what the journey would entail, but no doubt he knew it would be the journey of a lifetime. Planting a church in the heart of one of the fastest-growing cities in the country had its strong points, but it wasn’t going to be easy. The hard work of holding services in an elementary school, the years of community involvement, and the faithful communication of the gospel has more than paid off in eternal rewards—souls won to Christ, believers baptized, lives transformed, and a community better for it. 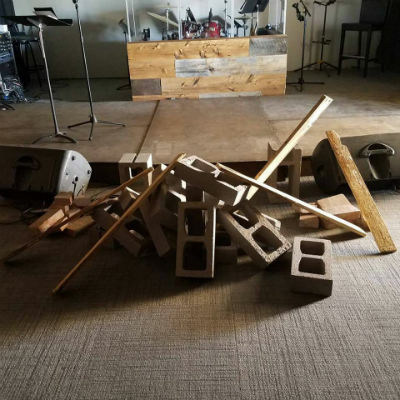 But more than one purchase of property since 2005 and a community far more transient than expected, resulting in frequent turnover of residents and congregational makeup, has proved grueling. 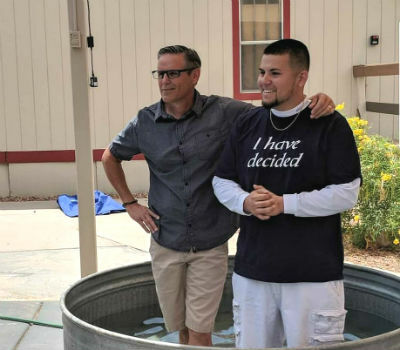 Nonetheless, the opportunity seized recently by Community of Hope, a life-giving Church of God congregation in Maricopa, Arizona, is one with implications for both now and the future. By the end of the summer, they will have completely renovated a former jail, transforming it into the church’s new children’s ministry wing. About two years ago, Community of Hope purchased a 5.25-acre property that would become their new spiritual oasis in the desert. On it stood a brick-and-mortar building that had been built as a Catholic mission roughly fifty years ago. With that building also came a modular unit that had been used as an office but would soon house the church’s children’s ministry. Of course, church growth necessitated expansion as it became more and more difficult to cram people into one building. There was one obvious option staring them in the face, perhaps mockingly so, because it wasn’t the most appealing route. Six years ago, the city built a new jail and no longer needed the three modular units used as their original jail and police department. The Catholic church had inherited these deteriorating structures, but when the church bought the land, these structures belonged to Community of Hope. Upon closer examination, it was determined that it would cost just over half the price of new units to rehab these three. Thus, the renovation project began. Unfortunately, things didn’t go as smoothly as they’d hoped. Like the hiccups they’d encountered earlier in their journey, Community of Hope discovered unforeseen challenges in the renovation project. Not only were there unexpected structural matters to resolve, but municipal regulations threatened to derail the whole project. The church persevered, however, and signs of life began to emerge from the modular units which had been stripped to the studs. “We know when good things begin to happen for the Kingdom, we usually get some pushback,” Pastor Rusty would later write on social media. His rapport with the community and the Spirit’s power at work through the church resulted ultimately in favorable outcomes with the local government, and the structural hurdles became fodder for sermons! Children are vitally important to Community of Hope! 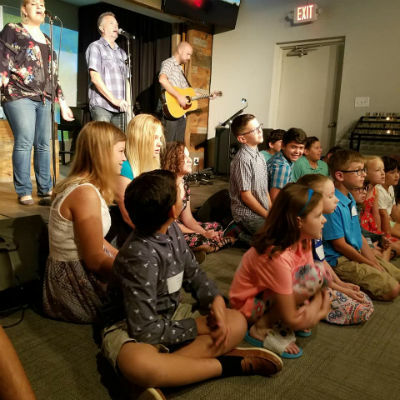 Pastor Rusty has long been a champion of children, but his heart for kids only grows bigger as his ministry career continues. That’s why he couldn’t be more excited about the possibilities the new children’s ministry wing presents. 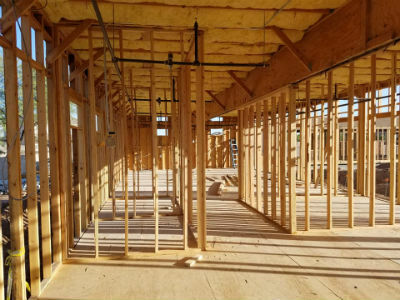 In addition to the church’s children’s ministry, the children’s wing will house a child care and preschool, which will help offset costs for the church and supply even more needs for the community. Pastor Rusty (left) celebrating new life on Baptism Sunday! Giving life has always been part of the DNA of Community of Hope. That’s why they make their buildings—however antiquated or refurbished—available to the community. Other church fellowships, including a Spanish-speaking congregation, meet on the property. Boy Scouts, AA, and other groups meet there, too. As a result, neighbors have come to recognize Community of Hope as part of the community, not just a fixture in it. Whether through their ongoing mission work in Mexico, their partnerships with other churches to care for children during this year’s teacher walkout, or the ways they make a difference through a variety of service projects, Community of Hope is making Jesus the subject. With every swing of the hammer, this church is in pursuit to reclaim hope wherever the journey may lead. In Arizona, across North America, and around the world, God is on the move in the Church of God. Join the movement. Give life. Donate today at give.jesusisthesubject.org. This entry was posted in All Church of God, Give Life, Western and tagged Arizona, AZ, building project, challenge, children, children's ministry, community, Community of Hope, construction, expansion, Give Life, Jesus Is the Subject, kids, Maricopa, Mexico, municipal, New Life, Reclaim, rehab, renovation, Rusty Akers, school, service project, setbacks, Southwest, triumph. Bookmark the permalink.